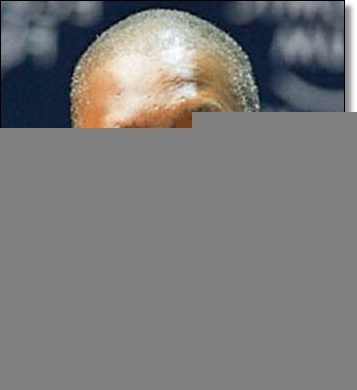 Dangote: Charity Begins at Home! According to the 2011 Forbes Billionaire list, Nigeria's Aliko Dangote with a net worth of $13.8 billion is the richest Black person in the world. The new flavor of the West, Mr Dangote enjoys media attention just like the late MKO Abiola. However, as soon as MKO Abiola was no more, his wealth evaporated. When I see Mr. Dangote’s displays, I am reminded of MKO Abiola. While campaigning for Nigeria's highest office, Abiola had a crew of US PBS television crew follow him around as he threw and handed out money to his audience. Follow that up with notorious and infamous Francis Arthur Nzeribe - [NPN] who in 1983, as he sought election into Nigeria Senate in his home state of Imo State, flew over Orlu in a helicopter during an opposing [NPP] candidate’s campaign and dropped 'naira' to unsuspecting villagers. The villagers, as they scrambled to catch flying naira notes, trampled on themselves leading to many deaths. Mr. Nzeribe at one time was considered Nigeria's richest and was known to own and drive around London in his Rolls Royce, with license plates FANZ - Francis Arthur Nzeribe. Each Rolls Royce was in order of FANZ 1, FANZ 2, etc. Yes, these men are and were rich by any standards but often it was at the expense of their communities. They often used exploitation. These rich people are transaction business folks and not those that transform their country. Mr. Dangote takes advantage of lousy corporate laws and enforcements in Nigeria, often monopolizing any sector like Mafioso's. I will not go to business school to understudy his practices and model. But since Forbes is known to include anyone on their list to sell the magazine, it is no surprise that even drug kingpins such late Columbia drug lord Escobar was included. Forbes' reason for including Escobar was that if he could make a billion selling illegal stuff, it was worthy of note and inclusion. Escobar however developed his little Columbia village into 'Come and See American Wonder.' Africa/Nigeria rich folks are sunflowers, hardly lasting after the sun sets. You go figure. As much as Mr. Dangote is celebrated, his practices are less deserving. Until I see where his business practices have transformed a village or his state like Boeing, Microsoft, GM and Ford among others, have transformed communities and created budding and sustainable economies due to the enterprises, Mr. Dangote’s empire is rather one on quicksand. He should endow programs at Nigeria universities and make his village a model of success. Flying around the world and pretending is not what will lift Africa/Nigeria to the 21st century. Try importing some of the goods Mr. Dangote feels are his exclusive preserve and see how your efforts will meet dangerous opposition. If Mr. Dangote believes he is a great businessman and not one that exploits, let him allow open and fair competition. For those that celebrate Mr. Dangote, his village is as desolate as the Sahara except of course, traces of some mansions in the mix of mud houses and huts. No running water or sewer, and folks still enjoy that nature call using the air system. Charity must be seen to begin from home. Show me the money but also help elevate the standards of living of one's community. It is not just good to be known as being rich, it comes with serious responsibility to help a people realize their dreams and create sustainable life.